This is a comprehensive program that covers important topics of the Travel and Tourism Industry, and ideal for students who are dedicated to studying, and learning so they are well prepared to start their career journey in the travel and tourism industry. Curriculum includes both International and Canadian content, enriched by research assignments, field trips, guest speakers, and industry events (when available). Learners love our unique style of teaching; which is a blending of experiential learning, exploratory research, theory, and interactive role-playing that makes classes fun, interesting, and inspiring. Classes are a blending of Canadian and International Students, which creates an amazing cultural experience for all. Our teaching environment encourages students to interact with others, which is especially helpful to those with English as a Second Language as it develops their conversational English skills and self-confidence. As our student are unique with their own career goals to meet, each one should set high standards and be dedicated to personal and professional success. This will maximize the benefits of the program. As class sizes are small to allow for personalized attention, early registration is encouraged. Admission requirement are outlined on the Enrolment Contract. The college will email confirmation when payment, Enrolment Contract, and Admission documents has been received. Once the college has processed Enrolment, materials including Program Introduction, Instructions, Theory notes, and Assignment will either be emailed pdf format within ten days, or mailed within thirty days according to delivery format selected. 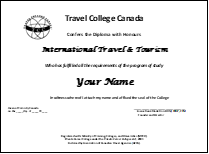 The program is endorsed by the Association of Canadian Travel Agencies (ACTA); thus, graduates are granted educational credits from ACTA towards prestigious national travel industry professional designations, such as CTC (Certified Travel Counsellor) and CTM (Certified Travel Manager) recognized by employers locally and abroad. We are proud to be awarded a Four ****Star rating from ACTA. Travel College Canada offers various study options to suit the lifestyles of our diverse student population. You can fast track your education and graduate with a post-secondary diploma in as little as Five months or take up to 52 weeks with our Distance Education (home study) option. This is a 700 hours training program, available in a choice of three study options. Program content, assignments, and tests are the same for all so, there is no compromising on quality and value. GDS (Global Distribution System) also known as CRS (Computer Reservations System): GDS is a network operated by a company that enables automate transactions between travel suppliers and booking agents. 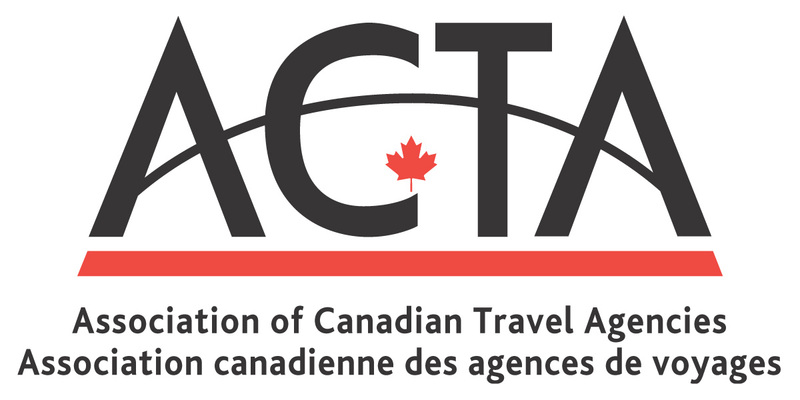 TICO Certification: As of July 1, 2009 those who sell, counsel or provide travel advice to consumers on behalf of Ontario travel companies must be certified by TICO (Travel Industry Council of Ontario). Additional E-Learning Online Training Courses: We are pleased to have built excellent working relationships with travel suppliers who allow us to offer our students “travel agent training courses” ranging from two to four hours. Upon successful completion, the student will earn a certificate provided by the travel supplier which helps increase job opportunities. Career Planning Workshop & Job Search Assistance: The student will learn how to create effective resumes and cover letters; prepare for interviews and understand the job search process. Microsoft Office Training: Word, Power Point & Excel. Inquire about special rates for registered students. Questions about a program or registration? Our New Two-year International Tourism Management Program is perfect for International Students, who would like to experience living in Canada for two years while studying with us. Inquiries from Immigration Consultants and Lawyers are most welcome. Financial Assistance may be available to those who qualify under the Second Career program. As specialists in adult education, we are highly qualified to meet the needs of adult learners, who wish to train than start working soon as possible as time is money! 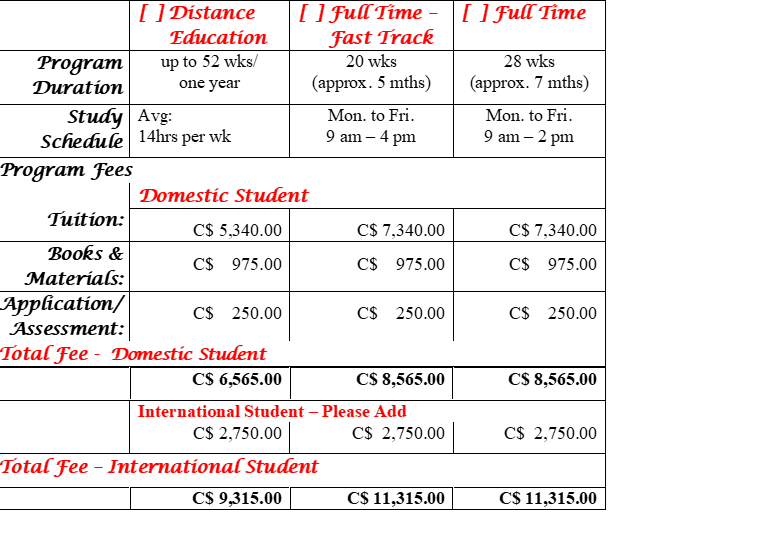 Let your Second Career counsellor know Travel College Canada is your college of choice. – Organizations & Employment Resource Centres including those who assist Second Career clients with their application.